A personality associated with strength, compassion and a potent figure who is stereotypically sketched to be the trailblazer and protector of his pact is celebrated around the global annually and social media just added on to the zing by elevating the significance of this day. Social media has laid an ideal platform for brands to humanize and mold a real persona around their identity. As we’re aware, thematic campaigns have bounced beyond becoming trends to norms. Attempting to spice up the festivity fervor simultaneously stringing in with the emotions of their audience, brands tend to find a balance between innovation, sentiments and virality of their campaigns. It was the turn of the fathers to be rejoiced this Sunday and as expected social media went gaga over their daddy dearest and brands fuelled in the fever to represent the standard daddy roles. 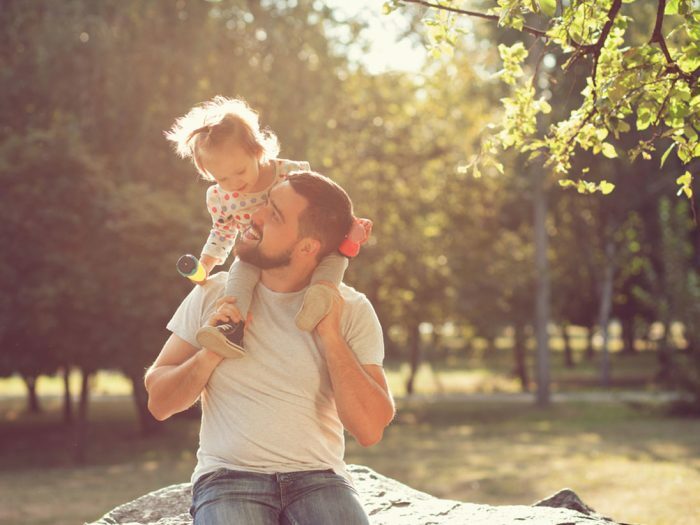 Social Samosa curated a list of brands who took up to our favorite medium to embellish with the Father’s Day celebration. But there were some brands who strong-willed to acknowledge the guise behind fatherhood, reluctant to embrace societal labels produced a campaign holding a slight tinge of modernity and preach. Snapdeal, the e-commerce brand believes and we strongly agree that the term father builds an image of a stern faced, strong-willed and a tad bit emotionally distant figure which has stuck up in our heads. Through their campaign, the brand puts across a simple message of how #FathersCanBeMothersToo and smoothly fill in the duties usually assigned to mothers right from taking paternity leaves, changing diapers or cooking a delicious meal. Extending this simple thought, the brand showcased how a father can play multiple roles. To put across this message, the brands took the support of simple creatives and GIFs. The brand also published a blog on their handle to develop on this idea and give a deeper insight through texts. Contrary to this was the clothing brand Raymonds who constructed their campaign on parallel lines by highlighting the dynamism of a single-mother where the video highlights a moving son-mother relationship as the boy gifts a Father’s Day gift to his mother. Without complicating or specifying the details of single-motherhood, the campaign simply exemplifies the emotions of a son towards his mother, who for him is a complete parent. 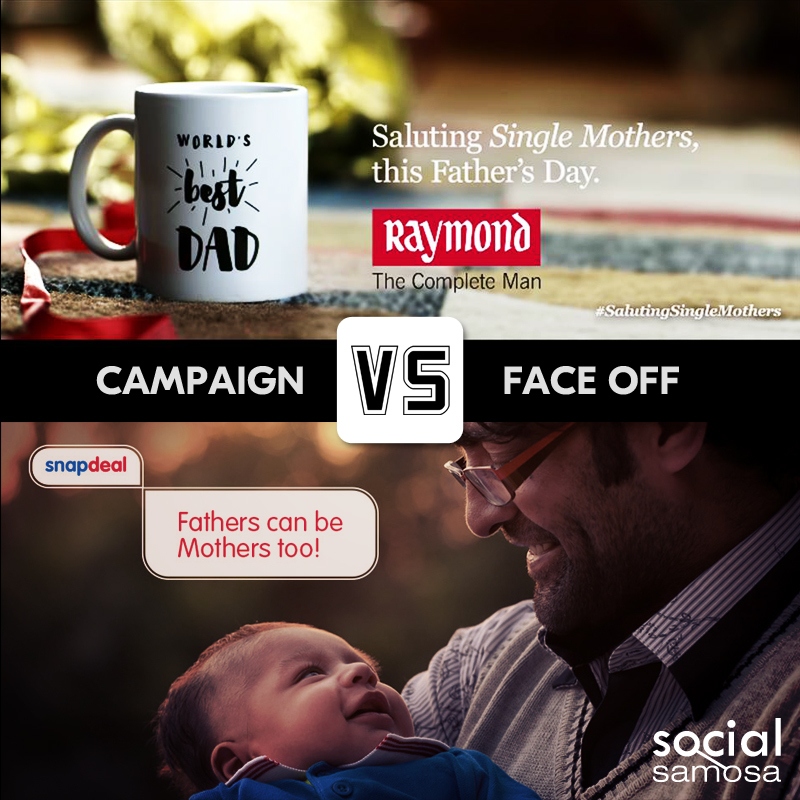 Snapdeal on one side thought of bringing out a tinge of motherhood within a contemporary father, while Raymond’s identified by the tagline ‘a complete man’ focuses on the fatherhood every single mother subconsciously possesses. Running on similar lines yet differing in their ideas managed to put across their campaigns in a different light as compared to the standard. 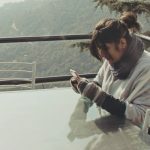 Raymonds through their short absolutely simplified video managed to put across an overwhelming, emotionally powerful message at the same time Snapdeal blended their offerings seamlessly with the occasion. Though the urbane concept couldn’t hit as hard with its sentimental factor. 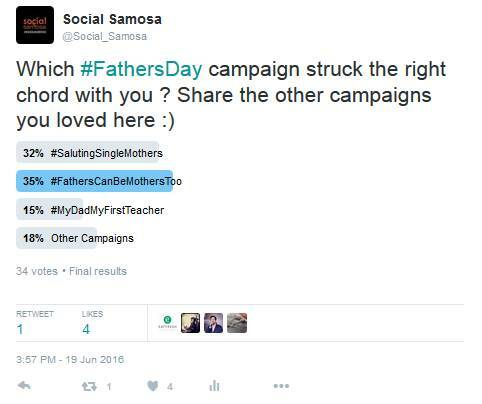 Father’s Day itself is a day dedicated to fathers where social media poured out their heart through tweets and posts and matching with the sentiments Raymond’s pushed the envelope by #SalutingSingleMothers while Snapdeal aimed at breaking stereotypes with #FathersCanBeMothersToo the idea was novel but campaign might have missed out on a strong emotional appeal. Wrapping it up, amongst the populated Father’s Day Campaigns , these two managed to bling on, with Raymond’s earning brownie points for its thought and emotional factor. Which of these campaigns managed to strike the right chord with you? Our followers on Twitter feel that Snapdeal aced the game for the day! Infographic: Are brands mistaken about marketing to dads?